The University School of Law was established in the year of 1977. Initially the classes were conducted at the School of Languages of the University. In the year of 1982 the School was sifted to its own building. In the beginning two courses at LL.M. were offered in the subject of Commercial Laws and Criminal Laws. On the recommendation of the Curriculum Development Committee (CDC) of UGC report the School, restructured the whole LL.M. course with a view to offer a specialization at Post Graduate level study in Law and at present we are offering the following two year (4 semster) full time courses. After emergence of WTO, it has become imperative for all nations to protect the intellectual Property Rights (IPR) of their citizens and to make suitable laws in this regard. Keeping this in view, the University School of Law, Gujarat University has realized the importance of this branch of law and adopted a two year LL.M. 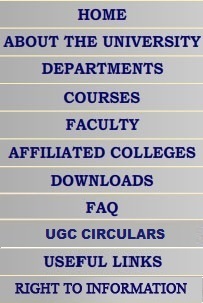 programme in Intellectual Property Right from the academic year 2005-06. As per the Survey conducted by "India Today and ORG Group" for 2012, the School of Law is Ranked 1st Position in Gujarat and 17th Position in India to Impart Legal Education. In association with "Paryavaran Mitra", the School has arranged a lecture series on "Climate Change" on every 4th Saturday during 4.00 to 6.00 PM. The School is adequately equipped with infrastructure facilities. 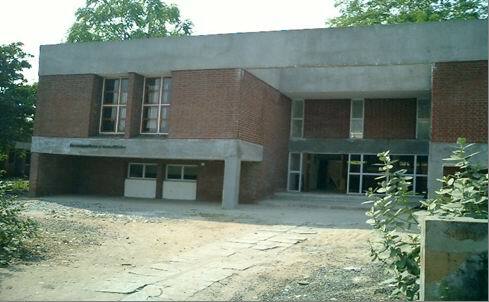 All the faculty members have been provided with personal computers with internet facility. We have the department library with internet facility and sufficient nos of books pertaining to the subjects offered along with Supreme Court Case online and AIR, and Manupatra and other Software relating to IPR and CD's on the Law Commission of India Reports. Admission Process : On the basic of Marks obtained at Third LL.B. Exam. Future Career Opportunity/Placement facility : It is the most emerging and challenging field for the law markers to protect the interests of the citizens in the ambient of globalization under WTO regime, where there is a specific agreement on "Trade Related Intellectual Property Rights" (TRIPs). There is a great demand in the corporate sector to deal with the Intellectual Property Rights. Particularly in the area of R & D, specialization in IPR is always been given priority and preference in the selection of law officers of the company. Qualification : D.T.P., LL.M., Ph.D.